“I Don’t Know How To Love Him,” she memorably sings in Jesus Christ Superstar. Not the case here. She knows exactly to love him: platonically, ardently, and steadfastly. Screenwriters Helen Edmundson and Philippa Goslett have taken their cue from the Gnostic gospels, which are the Christian equivalent of non-canonical Star Wars novels; in these, Jesus is closer to Mary than to any of the Apostles (inspiring jealousy from Peter), and only she truly understands what he’s doing, the nature of his world-changing sacrifice. That’s a potentially provocative angle, but director Garth Davis (Lion) is no Martin Scorsese, and while Mary Magdalene’s U.S. release was delayed for a year by the Harvey Weinstein scandal (the rest of the world saw it last Easter; IFC Films eventually bought it from the Weinstein Company), evangelicals who angrily picketed The Last Temptation Of Christ 30 years ago are remaining silent. There’s nothing here to upset them, and nothing much that’s likely to energize anyone else, either. Once Mary makes the difficult decision to leave her family (rejecting the arranged marriage they’d planned for her) and follow Jesus (or “the rabbi,” as everyone mostly calls him, in a nicely accurate touch), she’s unfailingly loyal, understanding, compassionate, and wise. In a word, she’s boring. At least Jesus gets to be plagued by fear and doubt. It’s unclear what attracted heavy hitters like Mara and Phoenix (plus Chiwetel Ejiofor, given virtually nothing to do as Peter) to this well-intentioned but decidedly underwhelming project. 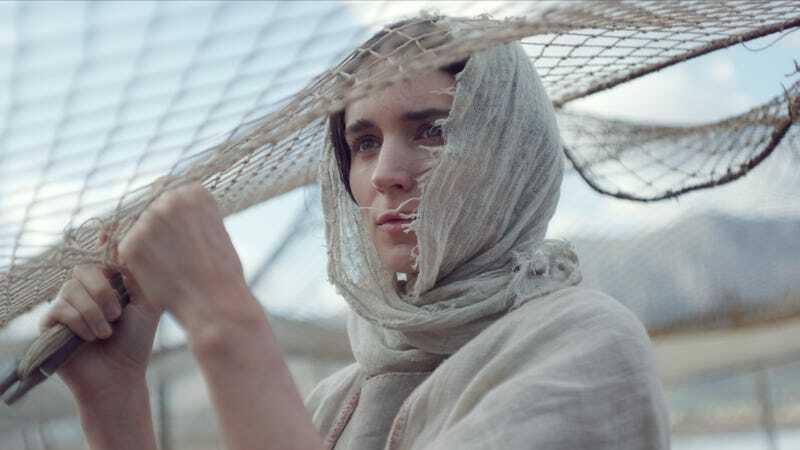 Mara gets more screen time than any previous Mary Magdalene, but that just affords her numerous opportunities to stare beatifically as Jesus performs his miracles and blesses the meek. (She does get to do a little blessing of her own at one point, with Jesus telling her “Be my hands.”) For Phoenix, stumbling bloody beneath the weight of the cross, adorned with the crown of thorns, just seems like an actor’s rite of passage that he decided it was finally time to get out of the way. His trademark offbeat diffidence makes Jesus’ sermons sound weirdly passive-aggressive, while in repose he sometimes looks as if he’d rather be playing Rasputin. Only Lazarus being raised from the dead inspires a brief moment of greatness, as the film imagines Jesus glimpsing his own forthcoming death in the process, and Davis shrewdly forgoes any hokey “vision” in favor of letting Phoenix freak out for no immediately apparent reason. Arguably, Judas (Tahar Rahim, from A Prophet and The Past) has the most compelling psychological journey—he’s depicted here as an impatient, frustrated radical who betrays Jesus in the hope that doing so will force him into finally taking some badass action, rather than just preaching. But we’ve seen a deeply conflicted Judas many times before. 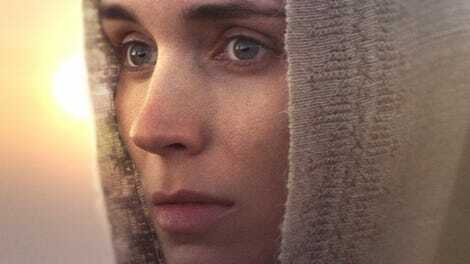 Mary Magdalene was intended to shift the focus in a new, revelatory direction. Unlike Superstar’s Mary, though, she hasn’t been changed. No, not really changed.